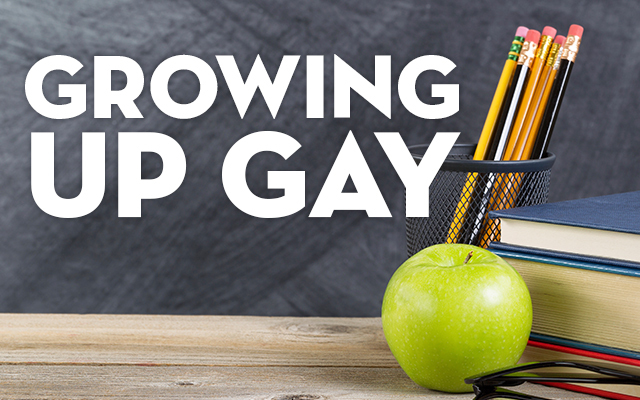 Growing up gay has all kinds of ups and downs, especially when you are younger and you are still trying to figure out who you are. I know from my own personal experience it wasn’t easy. I read this story and began stop cry by the end of it and I knew I had to share it. You see it doesn’t matter who you are, gay, straight, bi or trans – what matters is how you treat other people. This teacher obviously made an impact on these children and it shows. A teacher from Ontario shared this amazing story on Reddit’s /r/education board. I teach Grade 8 (13-14 years old) in Ontario, Canada. I am gay, and my students have known this for about a month or so. I am in my first year of teaching, and I teach the class that is considered the “tough” class – they don’t get along well with some of their other teachers, and they can be rowdy. Not so much for me, though. In particular, I have one group of boys that can be a bit of a pain in the neck. Never keep their hands to themselves, always talk out of turn, have gotten in fights, etc. There is one boy in this group (he will be known here as Harry) who is a little quieter than the others, but very popular. He’s a bit tough to get close to, and seems like the type to be resistant to new ideas and different people. He hangs out with another tough kid (let’s call him Mark), who is loud and boisterous and often rude. Given what Harry listens to, I’m wary. He listens to a lot of rap and hip-hop, and that’s fine, but I’ve heard some non-school-appropriate language come out of the music he listens to. So I ask him if it’s appropriate for school; he tells me yes. This kid is many things, but he has never lied to me. Not once. So… I take a deep breath and tell him okay. What the heck. So he goes on over and pulls it on up, and on comes a song I have never heard before. The artist is rapping about growing up gay, about the struggles of being gay, and about standing up in the face of hatred and homophobia. “Same Love,” by Macklemore and Ryan Lewis. The video was beautiful. The video finishes, the kids applaud, and I thank him, and he says to me, “I told you you’d like it.”And then his loud, rude friend Mark says: “That was for you, Mr. K.” The whole class applauded again – for me this time – and then I cried. I cried the proudest tears I have ever shed. Harry and Mark … they might tick off every teacher they ever have, but today they gave this teacher a moment he’ll never forget. If you have an amazing story you would like to share let us know! Message us on Facebook here. This entry was posted in Coming Out Stories, Fun Stuff and tagged equal rights, growing up gay by Janey Grace. Bookmark the permalink.